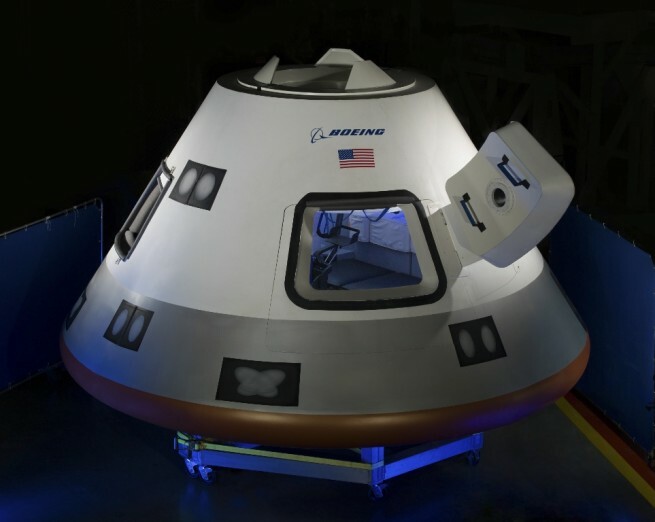 NASA has approved Boeing’s CST-100 to carry out its first crewed flight to the International Space Station. Under the $4.2 billion Commercial Crew Transportation Capability (CCtCap) contract NASA has awarded to Boeing, the company is required to ferry crews to and from the orbiting laboratory, something that the United States has been incapable of doing since the close of the shuttle era in 2011. If everything goes according to plan, the first commercial flight will be a watershed moment as it will mark the first time that a private company has provided the U.S.’ space agency with crew transportation services. The announcement as to which two of the three remaining competitors under NASA’s Commercial Crew Program would proceed from the Commercial Crew integrated Capability to CCtCap was made in September of last year (2014). Despite being the fan-favorite of many a space enthusiast, Sierra Nevada Corporation’s Dream Chaser space plane did not proceed forward. Instead, NASA tapped the CST-100 and Space Exploration Technologies’ (SpaceX ) crewed Dragon spacecraft as the two offerings which would carry future expedition crews to the ISS, as was detailed on Aviation Week and Space Technology. NASA is banking on this effort to allow them to maintain their responsibilities to the ISS as the agency works to send crews to distant destinations. These include taking a boulder pulled from an asteroid and towed into lunar orbit, and also a mission to the planet Mars. Boeing is an established fixture within the aerospace community, having been founded in July of 1916 by William Boeing. Both NASA and Boeing have noted recently that the two craft being developed under CCP continue to meet their milestones in preparation for the first flight, slated to take place in two years time. The “CST” in the spacecraft’s designation stands for Crew Space Transportation, it is hoped that the craft will be able to provide reliable access to the orbiting laboratory along with the crewed version of SpaceX’s Dragon. Under the tCap phase of CCP, Boeing is required to conduct at least two (with as many as six possible) service flights to the ISS. This should allow the craft to complete its crew certification. 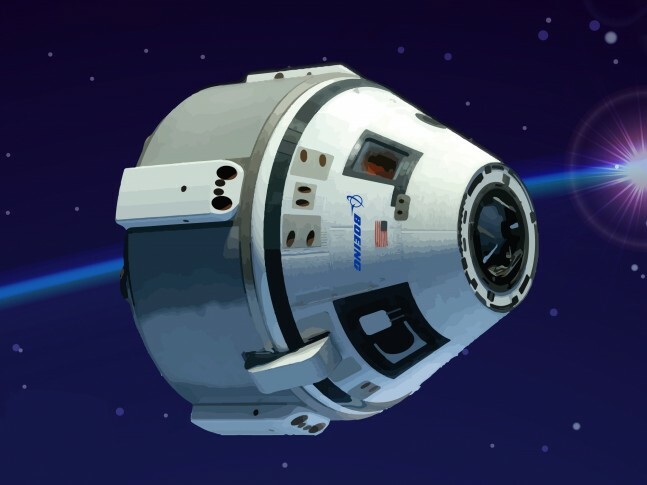 For their part, Boeing has relayed that it feels that the CST-100’s design maturity was the key determining factor in its selection to conduct this mission under NASA’s commercial crew efforts and that it will now move forward and be readied for crewed flight. “NASA required we successfully complete the Certification Baseline Review – our first CCtCap (Commercial Crew Transportation Capability Phase) milestone, successfully complete an interim milestone representing work culminating in a significant design review (for us, this was the Delta Integrated CDR (Critical Design Review), our 4th tCap milestone), and meet additional ATP criteria we proposed (that is different for each provider),” Boeing’s Kelly Kaplan told SpaceFlight Insider. The company feels it has successfully demonstrated to NASA that the Commercial Crew Transportation System has reached design maturity appropriate to proceed to assembly, integration, and testing activities. As noted by Boeing, the CST-100 is designed to be able to carry as many as seven passengers to the sole low-Earth orbit (LEO) destination at present – the ISS. The interior of the craft can be configured to carry a mix of cargo and crew as well. 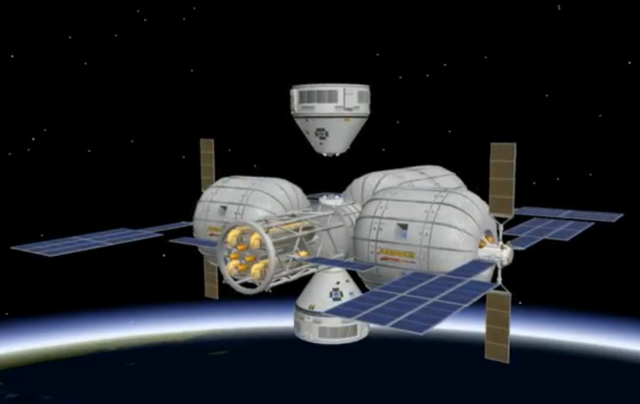 There are plans to increase the number of space stations on orbit – via Bigelow Aerospace’s commercial space station. This proposed facility also plans on utilizing the CST-100. This fact appears to highlight the confidence that Boeing has expressed in its design. “I think rather than this decision being about aspects of the vehicle itself that promoted the decision it’s more about where we’re at with the maturity of our design,” Kaplan said. When it does fly, the CST-100 will be launched atop a United Launch Alliance Atlas V booster from Cape Canaveral Air Force Station’s Space Launch Complex 41 in Florida. Engineers are already at work constructing the crew access arm that will allow astronauts to enter the CST-100. In terms of the Space Agency that these efforts are being carried out on behalf of, officials have noted that, while progress is important, the safety of the crew is paramount. Seeking further clarification, SpaceFlight Insider reached out to Boeing who confirmed: Being on contract first doesn’t necessarily mean we’ll fly first. That will be determined down the line. Just throwing a bone to Congress and Senate. Note the timing of this announcement. Boeing is on the list in part because they’re good at getting money out of the Government. Once both ships are flying though both will have the NASA seal of approval and then we will see which platform’s pricing attracts the most commercial interest and thus which platform accumulates the deeper launch history and tech evolution path. Thank you I was going to highlight the same, very misleading article in that respect, just because they order first is because ULA have a longer lead time for their rockets than SpaceX and therefore NASA had to order now. If boeing gets picked then clearly corruption IS going on at NASA. 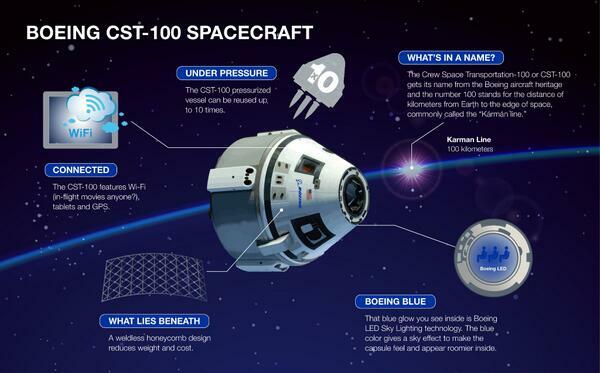 Has Boeing said when they are going to make test flights with the CST100? I presume there will be a few before they put astronauts on board. What will be required for test flights? A few ferries to the ISS with just cargo; a launch pad abort test; more? It is a pretty exciting time to see all of the new hardware being tested prior to entry into service. Boeing hasn’t been selected to fly ahead of Dragon, the CST-100 merely has been approved to conduct its first flight to the ISS. We have since amended the article and apologize for any confusion caused. I don’t think all you spaceXer’s need to worry, Boeing don’t even have a capable work force to handle the job. Rather than draw from the pool of highly skilled laid off aerospace workers in the Central Florida area, they are hiring airplane technicians out of South Carolina to fill the very few limited opening they have. At one time Boeing indicated that they were going to hire the highest rated laid off techs from United Space Alliance which was a sister company of Boeing, but for some unknown reason decided not to. So…. I don’t think Boeing will be ready in 2017. Just look at the parking lot in front of their building, it’s mostly empty ????? Correct me if I’m wrong but neither CC vehicle has yet passed all the CCtCap milestones so to say any one of them is approved to fly crew is misleading. Boeing may have an approval but personally I think it’s worth diddly squat in the scheme of things and this announcement even less. There are two companies that have contracts to fly to the ISS. One of them has to fly first. Does not mean one is better than the other. It may just mean, one finished first or both may finish at the approx. the same time and NASA had to pick one. Marketing wise – yes both companies want bragging rights to say we flew 1st. Please remember under the CRS we are not seeing two American spacecraft flying at the same time. There’s something to be said for completing all of your paperwork milestones, I guess. Anyone know what the approximately price per mission to ISS of each of the vehicles will be? both companies are not flying more than 6 missions. Boeing $4.2 billion / 6 = $700 million. But for doing the same work, one company may get paid $1.6 billion more. Both companies are guaranteed at least 2 flights. After that, NASA gets to pick. Please remember they are flying no more than 4 astronauts per mission. So if you do that math, it equals more than $100 million per person. And you wonder why so few people have been into space???? Ok but your per mission price is not correct and in fact you can’t work that out using the CCtCap awards because there’s a mix of development, testing an d flights involved.